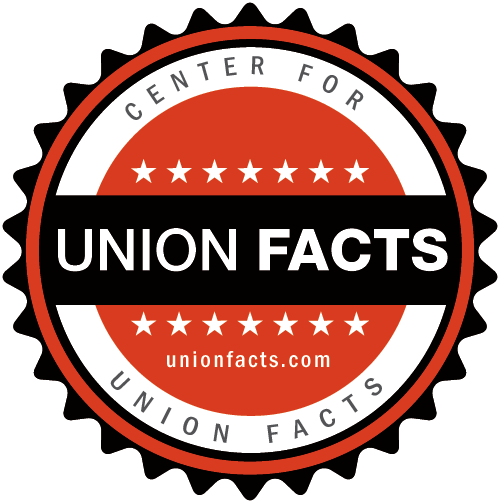 Union Facts| Government Employees | Profile, Membership, Leaders, Political Operations, etc. The Labor-Management Reporting and Disclosure Act (LMRDA), which is enforced by the Office of Labor-Management Standards, requires labor unions to file annual reports detailing their operations. Contained in those reports are breakdowns of each union's spending, income and other financial information. The Office of Labor-Management Standards (OLMS) requires unions to report how they spent their money in a number of categories. For the first five, OLMS requires unions to provide detailed information on any recipient that received more than $5,000 per year. Source: National Institute on Money in State Politics by way of Transparency Data. A union's 527 committee makes contributions to political candidates and other organizations for the purpose of influencing the outcome of an election. Unlike Political Action Committees, which are strictly regulated by the Federal Election Commission, 527s are regulated by the IRS. These committees are often considered a form of "soft money." The Office of Labor-Management Standards (OLMS) conducts investigations to determine if violations of the Labor-Management Relations and Disclosure Act (LMRDA) provisions have occurred. Investigations are initiated based on various sources such as complaints from union members; information developed by OLMS as a result of reviewing reports filed; information developed during an OLMS audit of a union’s books and records; and information obtained from other government agencies. Investigations may involve civil matters (such as an election of union officers) or criminal matters (such as embezzlement of union funds). Some incidents may be accounted for in multiple categories. The Office of Labor-Management Standards (OLMS) has responsibility under the Labor-Management Relations and Disclosure Act (LMRDA) to conduct audits to determine if unions are complying with the law. OLMS uses a streamlined audit approach called the Compliance Audit Program (CAP) to audit local unions which utilizes specialized records review and investigative techniques to verify LMRDA compliance. Unionized employees can elect to revoke a union's right to represent them through a process called a decertification. In order to decertify a union, a majority of the unionized employees must vote to remove the union in an election overseen by the National Labor Relations Board (NLRB). Unionized employees, business owners, managers, and others often bring labor law charges against unions. The National Labor Relations Board (NLRB) oversees the porcess of determining if the union violated the National Labor Relations Act. Please note that a single case may fall into multiple allegation categories. Source: Federal Mediation and Conciliation Service.